Beautiful fall leaf formed with my hand, hear, and hammer from a flat sheet of sterling filled bronze. 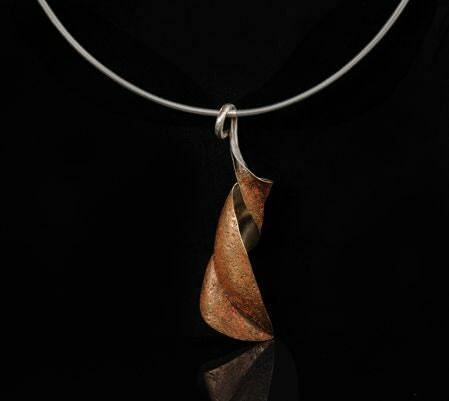 One side of the leaf is sterling silver. The other is a rich patinaed bronze. The stem of the leaf is a hollow formed spiculum. The cable is sterling silver and I offer it in 16 or 18 inch lengths.